We follow Bertrand, from Perù to Bolivia. 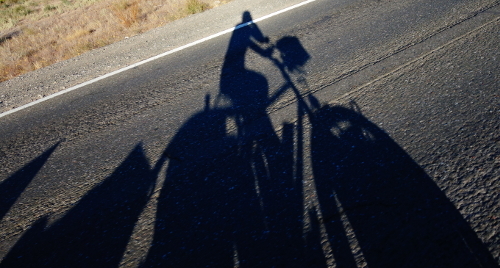 “I’m back on the road by bike, the sun is shining, at least at the beginning of the day as it’s still the rainy season. The road will take me to Uyuni in Bolivia. The first day is peaceful. The road is quite flat. I’m smiling and I have a good stride, I’m cycling along the Rio Vilcanota for a few days. I will go through a little village, Oropesa, the capital city of the bread. Only 300m along but there is an incredible amount of bakeries along the way. They all sell the same bread. One of the main activities around here is the culture of eucalyptus trees. 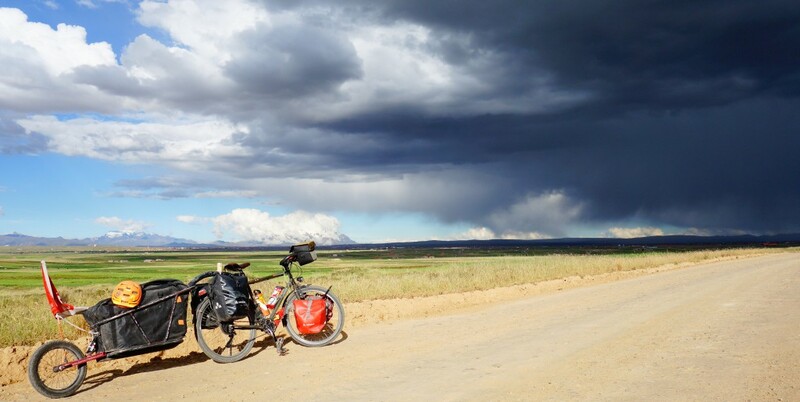 I get to cycle one last time in the hail at 4400m high in Perù and will then cycle in the direction of the Lake Titicaca that marks the border between Perù and Bolivia. The Lake Titicaca is the largest lake in South America (in terms of volumes of water) and the highest navigable lake in the world. Just a few days left before Bertrand reaches Cusco, a particularly difficult part of the trip as the difference in height is amazingly high. At 4000m, air is rarer and consequently, it’s more difficult to make physical efforts. It’s the rainy season when Bertrand reaches the plateau of Perù at more than 4600m. He quickly needs to put on waterproof and warm clothes. Here, the rain transforms into tiny snowflakes that whip his face while he’s cycling. Fortunately, the sun comes back as soon as he gets down again, along the Río Pachachaca Abancay, on his way to Abancay. The landscape is beautiful and nature is everywhere. 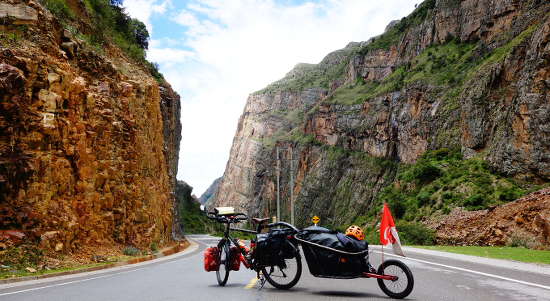 Between Abancay and Curahuasi (100km of mountains between and 4100m), he finds loads of eucalyptus trees. It smells good but brings an overbearing dampness. 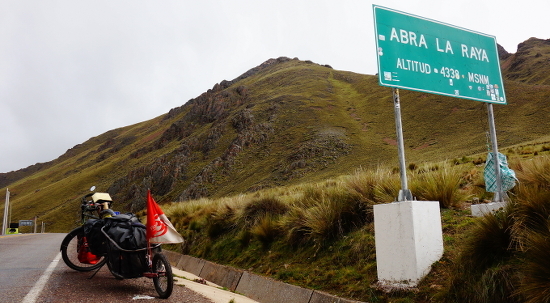 A last day cycling from 2500 to 3400m and Bertrand reaches a high plateau for the last staight line in the direction of Cusco. 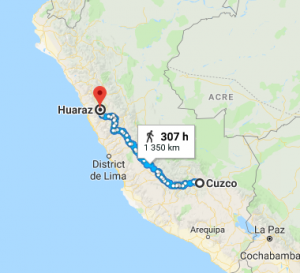 As soon as he gets to Cusco, Bertrand takes a shower and goes for a drink in a local bar with a Greek friend he met a few days earlier on the road of Huaraz. 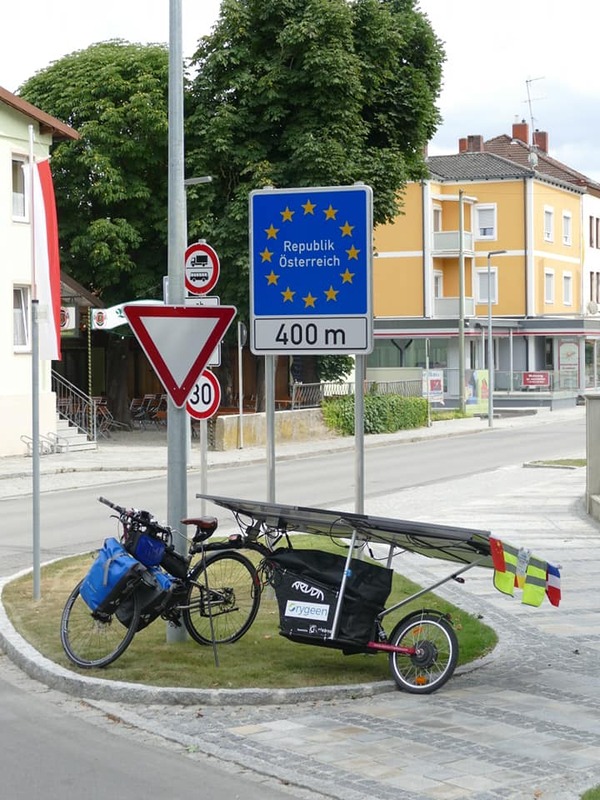 When and how do you decide to leave for a bike trip around the world ? Amédée tells us about his experience. “After breaking my foot a few years ago, I decided to start cycling to avoid repeated shocks and enjoy an outdoor activity again. 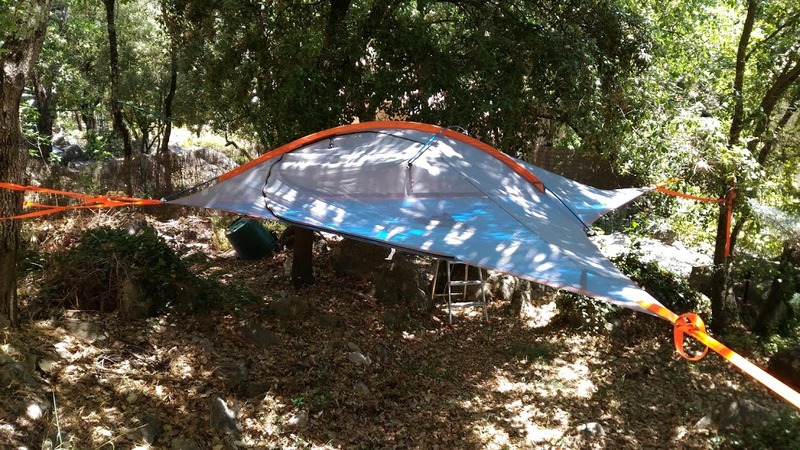 I leave in the South of France which is particularly adapted to MTB. After a few month, I decided to travel by bike and to leave my house and my job. Using a trailer seemed the most suited for this project. I spent some time checking websites and forums to finally conclude that an Aevon trailer would be the best choice. I bought a KIT L80 and I’m going to the North West of France to see my family. Why a KIT L80 ? I have no idea of the energy needed to pull this kind of weight so that’s a first experiment. 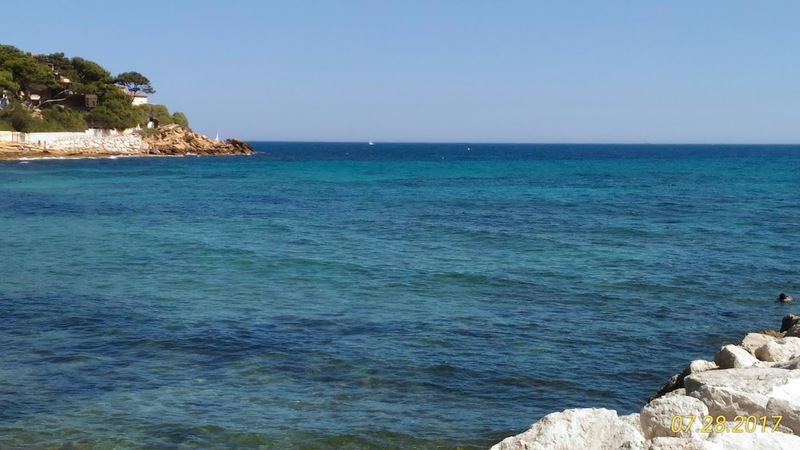 I’ll be cycling for 100km each day, in total 1200km along the Mediterranean coast, then along the Atlantic ocean. After lunch with a friend at Brignoles, it’s the big departure. I tested the trailer with my new MTB and here I go for my first night at another friend’s house. After 76km I’m happy to take a break, to rest and have dinner. 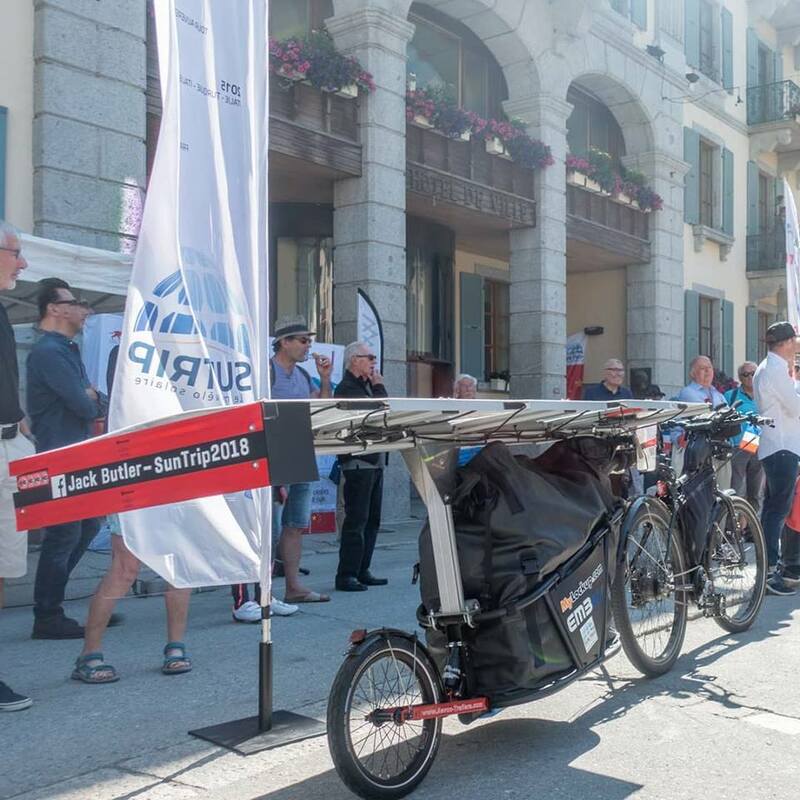 The trailer doesn’t move, even at 60km/h downhill, everything is perfect. Still travelling in Perù, Bertrand gives us some news. After spending a few weeks hiking around Huaraz, it’s time to go to Cuzco. These few weeks in Huaraz seriously reduced the initial plans and the tourist visa will soon expire. There is only one solution : take the bus for a few miles. But when you’re travelling by bike, taking the bus is a real issue. 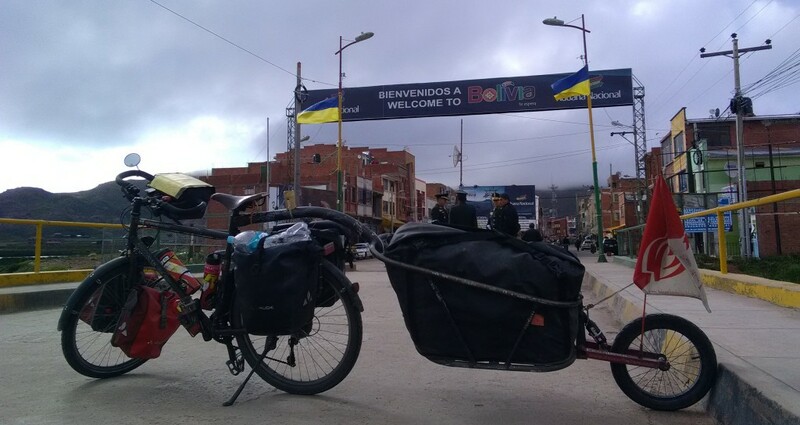 In the end Bertrand will take the bus until Nazca, to avoid the road of Lima, particularly complicated to cycle on. Then he will get back on his bike, after 2 months without pedalling. 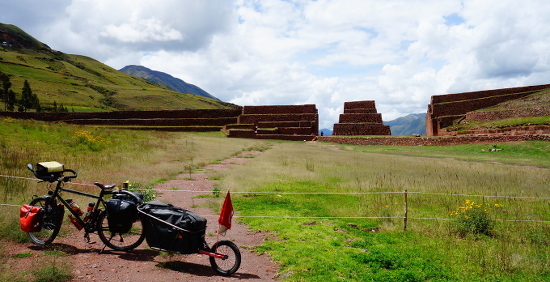 There are 10 days to go to his next destination : Cuzco. 10 days uphill. 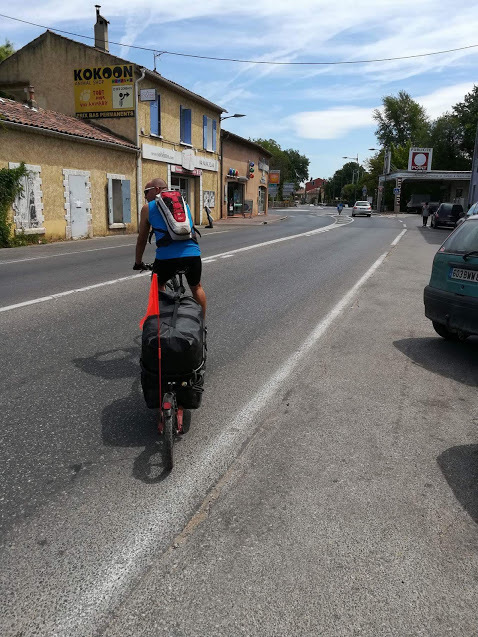 In the first 2 days, Bertrand climbs 3800m by bike. He reaches the Pampas Galeras reservation. This national reservation is located at 4200m and covers about 6000 hectares. The rangers are particularly welcoming and even have a special dormitory for travellers like Bertrand. Bertrand spends some nights in churches and restaurants. As it’s the rainy season, it’s really pleasant. The landscape is beautiful with stony mountains without a single hiker, such as Hatun Machay.